I have had this vest for over 3 years, and I can only remember wearing it one time. It should have been part of my closet cleanse, but don't we all have pieces that need to go but are still hanging? I had to justify keeping this vest, so I brought it out today for a menswear inspired look. 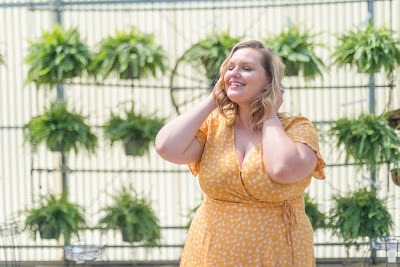 It is hard for me to pull off menswear, but I gave it a go anyway. So what do you think, did it belong in the "donate" pile? This just may be my favorit! I love the vest and shoes. I would love to wear this and am looking forward to trying to put somthing like it together for myself. No way, you were so right to keep it, it looks really good on you, especially the way the vest is fitted! Love those metallic heels, too! I like the menswear look, I recently got some pinstripe shorts in a similar color to wear with tights this fall. 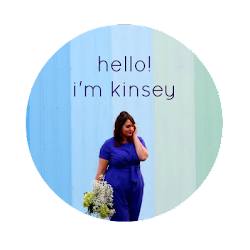 Well, hello, Kinsey's blog! Don't you look smashing. I always feel like I have a hard time pulling off menswear too. I think it just takes a little gutsiness, and you definitely have that. The vest is cute! I love it with your shoes! I also have a vest that's been just sitting in my closet...I need to drag it out and wear it!! I think subconsiously you were waiting for the right time to break it out.. it looks great- a keeper. I think you pull of the mensware look well, you look fabulous!